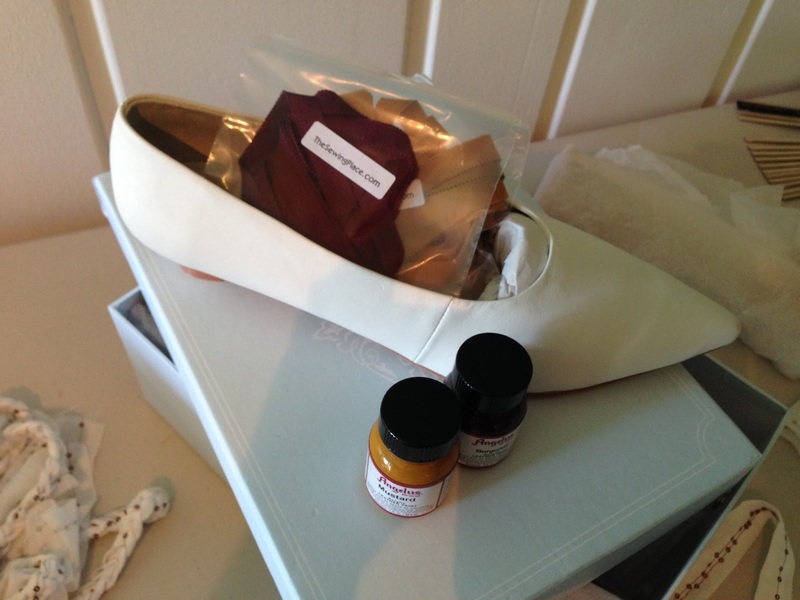 I decided to be a bit practical and choose to make these shoes for an event that I always have every year: my Regency Pumpkin Tea in November! So I read through American Duchess shoe painting tutorial here, ordered my supplies (leather paint from AmericanDuchess.com and also from Amazon.com, and petersham ribbon from The Sewing Place), as well as a pair of imperfect 'Pemberley' shoes on sale, and got to work. 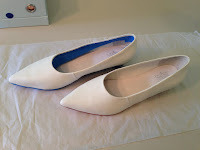 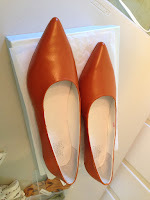 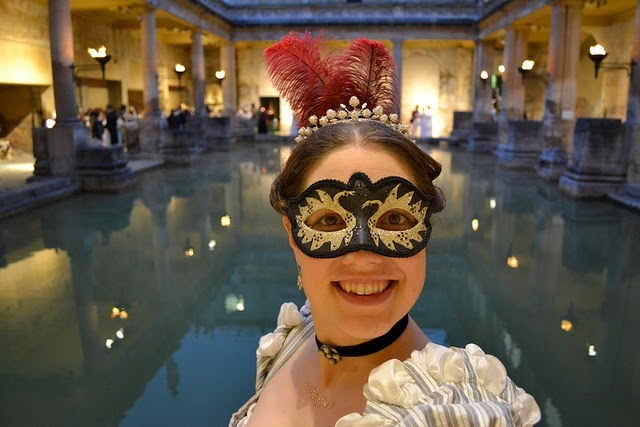 I had originally planned to make these as a second part to my July HSM Accessorize challenge this summer, but I ran out of time in July to get these done, and also opted not to make shoes for my late 1790's open gown, but instead to make them for Pumpkin Tea. 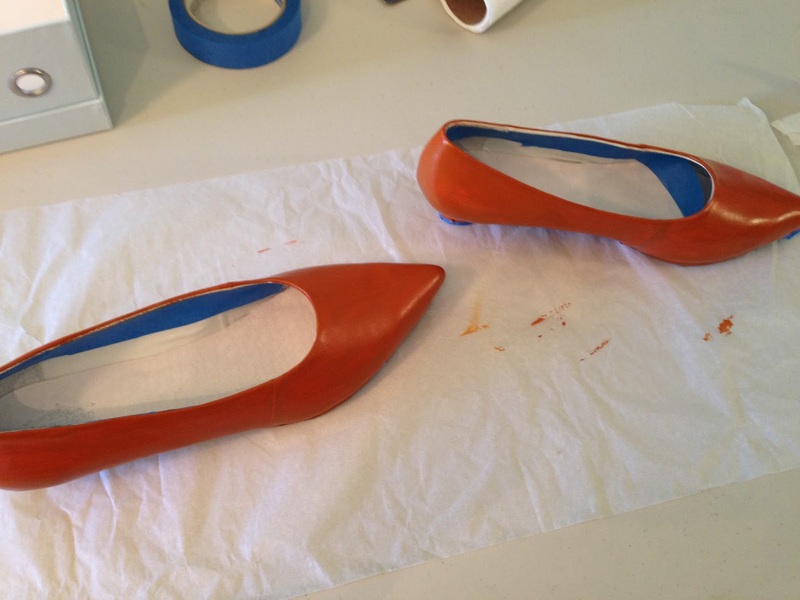 I went all crazy mixing up and painting them with a muted, autumn-y shade of ORANGE, yay! 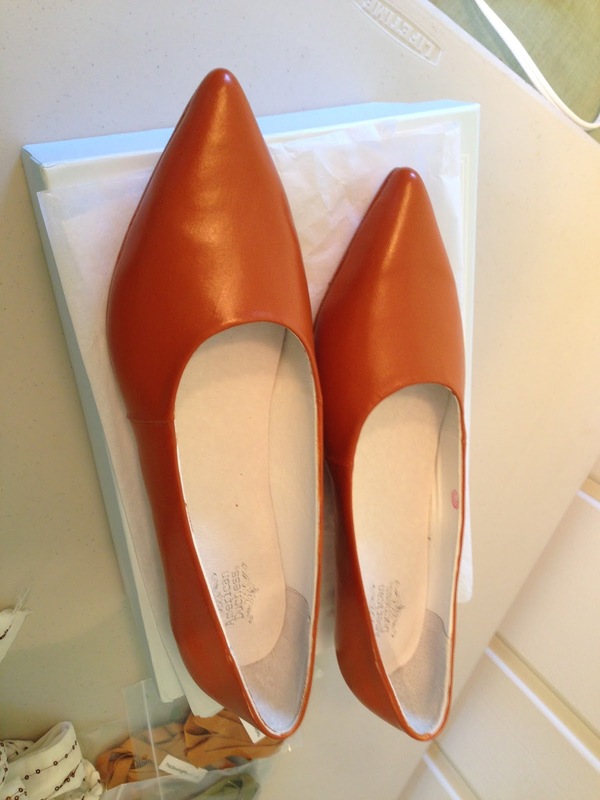 First, I cleaned my shoes with leather cleaner/preparer (to remove factory finish following American Duchess tutorial), lightly wiping them with paper towel. 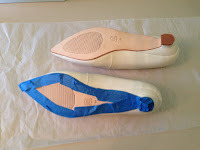 I used blue painters tape to protect the leather bottoms from paint. Then I painted on the first, light layer of paint, a custom orange color I mixed: the first coat ended up being very light indeed! 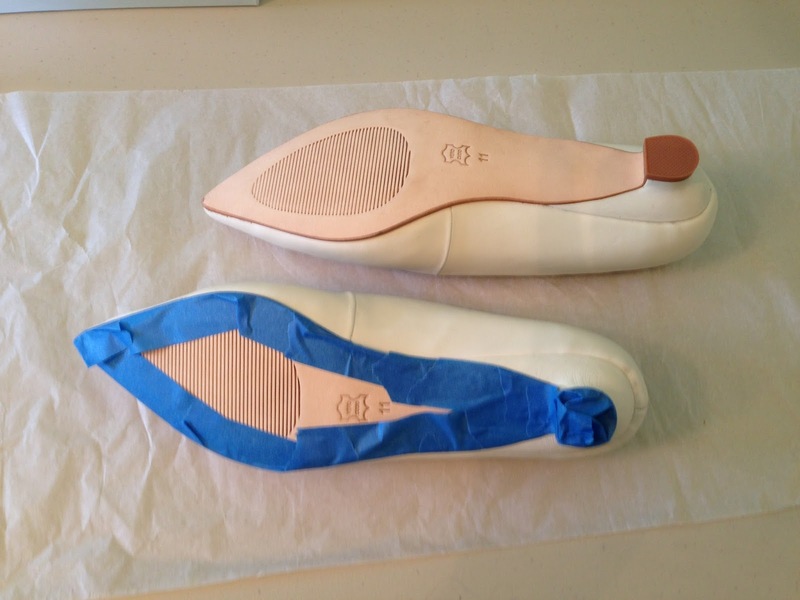 Once I moved on to the second, third, fourth, fifth, and on until the seventh coat, when it finally looked solid and pretty (and you could no longer see the shoe underneath) - making sure to allow enough time for the shoes to dry for a few minutes in between paint coats - probably could let each coat dry even longer and ended up with less coats for overall coverage, but I wanted to get going with it, lol. 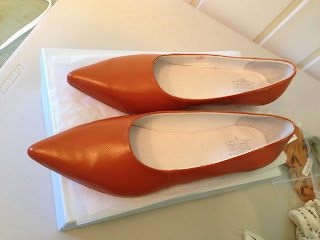 I ended up mixing a custom autumn based orange using: orange, mustard, brown and burgundy. 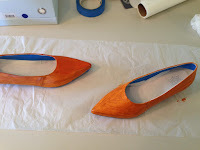 I'm really excited about the somewhat finished shoes: I wore them this past Saturday for the 9th Annual Pumpkin Tea, and I loved the way they went with my outfit!